Lock in a great price for Furneaux Lodge – rated 8.5 by recent guests! Location of Lodge in a bay was delightful - swimming fantastic, night skies amazing. Great location. Lovely cottage. Comfy bed. Beautiful views. 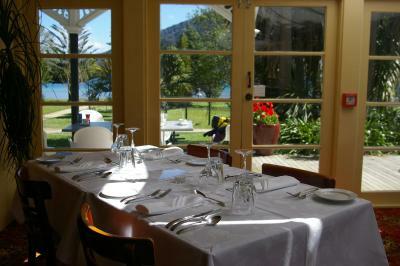 The surroundings are really beautiful, the lodges are big and the food at the restaurant is good. 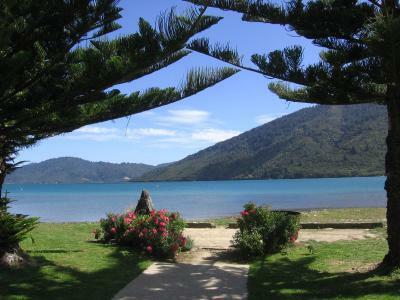 The location was excellent for people walking the first leg of the Queen Charlotte Track from Ship's Cove. Lovely grounds, fabulous deck outside the restaurant for enjoying a beverage or two. This was an excellent facility. We were hiking through so only stayed one night, but the facilities were superb for a several day stay. Breakfast was good - very nice bircher muesli and rhubarb compote. Shandies from the bar were excellent as was swimming from the jetty. The location is gorgeous and the layout of the cabins, main dining/bar area is great. Furneaux Lodge is located in Endeavor Inlet and has a garden and shared lounge. This resort offers a concierge service and luggage storage space. The property features a restaurant. All guest rooms at the resort are equipped with a seating area. All rooms come with a private bathroom equipped with a bath or shower, while some rooms have a kitchen. Guest rooms will provide guests with an oven. The area is popular for cycling, and bike hire is available at Furneaux Lodge. 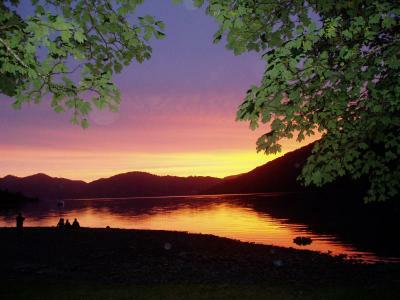 Picton is 17 mi from the accommodations. The nearest airport is Marlborough Airport, 34 mi from Furneaux Lodge. When would you like to stay at Furneaux Lodge? This cottage has air conditioning, toaster and kitchen. This suite has a view, electric kettle and tea/coffee maker. House Rules Furneaux Lodge takes special requests – add in the next step! Furneaux Lodge accepts these cards and reserves the right to temporarily hold an amount prior to arrival. Disappointed with our "chalet" which was right next to a very smelly septic system. Chalet was clean but dated. Would advise only large groups to book the chalets if you want to be all together or to cut costs. The studio rooms appear to be newer and possibly would have suited our needs better. Had difficulty on departure with reception querying that we had paid our account through Booking.com even though I had the booking confirmation stating this had been paid. A poorly maintained unit with an old fashioned mattress. Two unsafe power outlets. A curtain hanging off its rail. Overpriced. Sewer smell in room all afternoon evening. As we were hiking the Q C track we required a packed Lunch The Packed Lunches were overpriced at $24 They included : one sandwich ,a mandarin a very small slice of fruit cake,small bottle of fruit juice and a some shelled peanuts ...for $24 !!! Wifi not so great and not available in rooms. Limited. The chalets were very small and quite dated. The facilities need an upgrade.